Israel overtly uses culture as a form of propaganda to whitewash, justify or distract from its regime of occupation, settler-colonialism and apartheid over the Palestinian people. PACBI's call for a cultural boycott of Israel is strictly institutional, meaning it targets Israeli institutions for their complicity in Israel's oppression of Palestinians. Anchored in precepts of international law and universal human rights, the BDS movement, including PACBI, rejects on principle boycotts of individuals based on their identity (such as citizenship, race, gender, or religion) or opinion. If, however, an individual is representing the state of Israel or a complicit Israeli institution, or is commissioned/recruited to participate in Israel’s efforts to “rebrand” itself, then her/his activities are subject to the institutional boycott called for by the BDS movement. Cultural ambassadors are not simply individuals; they are official representatives of Israel’s regime of occupation and apartheid. 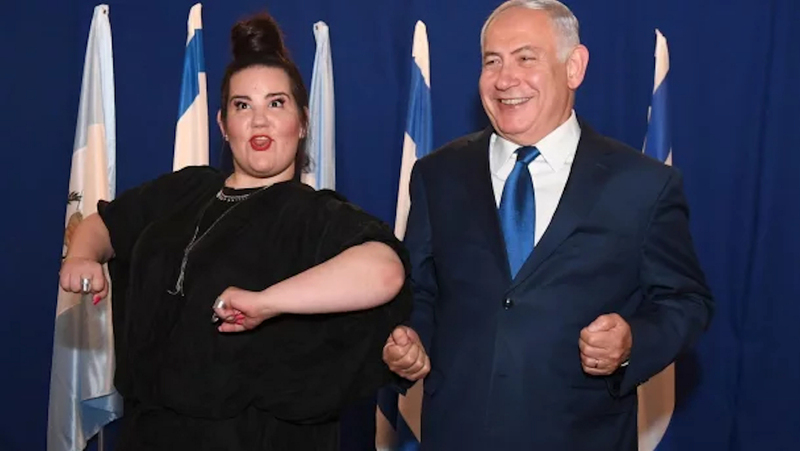 As Eurovision winner for Israel, Netta Barzilai is a representative of Israel and a cultural ambassador of its regime of occupation and apartheid. She has clearly been recruited to participate in Israel’s rebranding efforts. Both these conditions make her events boycottable, as they are part of Israel’s efforts to perpetuate a false sense of normalcy, while whitewashing its violations of Palestinian human rights and international law. Israeli governmental institutions regularly promote Barzilai’s shows. The Israeli Consulate in the US promoted a show in North Carolina and the Israeli Embassy in Austria is promoting a show by Barzilai in Vienna. Barzilai also participates in the Israeli government's pinkwashing agenda, the cynical use of LGBT rights to mask its ongoing denial of Palestinian human rights. She performed at Israeli government-backed Tel Aviv Pride and at Pride events throughout Europe, including in Cologne with Israeli embassy sponsorship. As part of a November 2018 European tour, she will perform in Paris at an event organized by Eliad Cohen of Papa Party and Arisa, part of Israeli state propaganda and pinkwashing. In September 2018, Barzilai performed at an event in Germany organized by quasi-state Israeli institution the Keren Hayesod-United Israel Appeal. In August 2018, Barzilai performed at the birthday party for the anti-Palestinian US billionaire Sheldon Adelson, fanatic supporter of Israel’s far right government. He is one of the biggest donors to anti-Palestinian organizations in the United States and major financial backer of Israel’s settlements. Prior to her Eurovision win, Barzilai performed at the torch-lighting ceremony that opened the official celebrations of Israel’s 70th anniversary as Palestinians marked 70 years of dispossession and displacement since the Nakba.